Erik Karlsson scored with 4:11 to play, from an impossible angle to the right of the goal, and Craig Anderson made 34 saves, as the Ottawa Senators edged the Rangers, 2-1, Thursday night in Ottawa. The win gave the Senators a 1-0 lead in the best-of-seven conference semifinals. .
Henrik Lundqvist helped keep it close for the Blueshirts, making 41 saves, including 21 in the 1st period. After a scoreless 1st period, Ryan McDonagh got the Rangers on the board with a power play goal at the 7:10 mark of the 2nd period, giving New York a 1-0 lead. Ryan Dzingel tied the game late in the period with a power play goal of his own at 18:39 to make it 1-1. With Brady Skjei in the penalty box on a holding penalty, Lundqvist stopped Kyle Turris‘ shot, but Dzingel out the rebound in for his first goal of the post-season. With time running down in the 3rd and the score still 1-1, Karlsson’s first shot was blocked by McDonagh. But, after recovering the puck, his 2nd shot from the goal line to the far right of the goal. The puck appeared to deflect in off Lundqvist’s shoulder. New York actually had a power play for the final 39 seconds of the game but were unable to score. Game 2 is Saturday afternoon in Ottawa. Mats Zuccarello scored two goals, and Henrik Lundqvist made 27 saves, as the Rangers came from behind to beat the Montreal Canadiens Saturday night at The Garden, 3-1, winning their best-of-seven opening round playoff series, 4-games-to-2. The Rangers now advance to play the winner of the Boston-Ottawa series; the Senators lead that series 3-2. The Canadiens got on the board first, just 6:19 into the game, on Alexei Emelin‘s first career post-season goal that made it 1-0. The Rangers only managed six shots on goal in that opening period, reminiscent of their sluggish performance at The Garden in the Game 3 loss. Zuccarello would spark the Blueshirts comeback early in the 2nd period. With the Rangers on a power play, Zuccarello took a cross-ice pass from Game 5 hero Mika Zibanejad and beat Price at 2:26 to make it 1-1. The goal was New York’s first power play goal of the series, after an 0-for-14 drought with the man advantage. Then later in the period, Zuccarello took a pass from Kevin Hayes and beat Price for the go-ahead goal at 13:31 and a 2-1 New York lead. Zuccarello nearly leapt out of the building in celebration. Derek Stepan scored an empty-net goal with 18 seconds to play for the final 3-1 margin. Lundqvist made save after save Saturday to preserve the New York lead, including a heart-stopping kick save on Tomas Plekanec with 1:43 to play. Carey Price was nearly Lundqvist’s equal throughout the series; Price made 20 saves on the night. After being down 2-games-to-1, the three straight wins to clinch the series may have been the Rangers’ finest stretch of the season. But the post-season has only just begun. Call him “Big Time Mika”. Mika Zibanejad’s goal 14:22 into overtime gave the Rangers a stirring 3-2 win over the Canadiens Thursday night in Montreal. The Game 5 win gives the Blueshirts a 3-2 lead in the best-of-seven playoff series. Chris Kreider skated into the Montreal zone, but his shot attempt was tipped by the Montreal defense, and became a perfect pass to the streaking Zibandejad, who beat Carey Price for the game-winning goal. Zibanejad was acquired from Ottawa in July 2016 in a trade for Derick Brassard, who was nicknamed “Big Game Brass” for his knack for scoring in the post-season. It was Zibanejad’s 3rd career post-season goal. Montreal opened the scoring midway through the 1st period when Artturi Lekhonen beat Henrik Lundqvist with a wrap-around goal at 12:07 that made it 1-0 Montreal. Jesper Fast tied it for the Blueshirts minutes later, with a shorthanded goal at 15:56, off a pass from Zibanejad. It was Fast’s second straight game with a goal. But the Canadiens took a 2-1 lead just 24 seconds later. Brendan Gallagher scored a power play goal at 16:20, with a wrist shot that beat Lundqvist. Late in the 2nd period, the Rangers tied the game. Jimmy Vesey kept the puck alive in the Montreal end, passed it to Rick Nash, whose shot was stopped by Price. Brady Skjei put the rebound into the net with 1:32 to go in the period, for his 2nd goal of the series. Lundqvist was rock-solid again, stopping 34 of 36 shots. Price made 33 saves. Game 6 is Saturday night at The Garden. The Rangers played one of their best games of the season – when they needed it badly – and edged the Montreal Canadiens, 2-1, Tuesday night at The Garden, in Game 4 of their playoff series. The best-of-seven series is now tied, two games apiece. The Blueshirts had lost their last six home playoff games, including a listless performance Sunday night in a 3-1 loss in Game 3. Rick Nash‘s 2nd period goal – off a terrific pass from Ryan McDonagh – gave the Blueshirts a 2-1 lead just 4:28 into the 2nd period. And Henrik Lundqvist and the defense thwarted the Canadiens for the remaining 35 minutes. Jesper Fast gave the Rangers a 1-0 lead midway through the 1st period with an unassisted goal at 11:39. But Montreal’s Torrey Mitchell tied the game, 1-1, with a goal with 1:23 to go in the period. The New York power play continued to struggle, going 0-for-2 on the night and is now 0-for-12 on the series. Game 5 is Thursday night in Montreal. The Canadiens got power play goals from Arthur Lehkonen and Shea Weber, and the Rangers’ offense failed to generate much energy or excitement as Montreal beat the Blueshirts, 3-1, Sunday night at The Garden. The Canadiens now lead the best-of-seven series, 2 games to 1. The Blueshirts lost their sixth straight home playoff game, over a span of three post-seasons. The team had the worst regular season home record of any of the 16 playoff teams this season. After a scoreless 1st period that saw the Rangers muster only 6 shots on goal, Montreal got on the scoreboard first, late in the 2nd period. With J.T. Miller in the penalty box for a “face-off infraction”, Lehkonen took a pass from Brendan Gallagher and beat Henrik Lundqvist for a power play goal at 17:37 and a 1-0 lead. In the 3rd period, Weber’s power play goal made it 2-0 at 7:42. Weber took a pass from Alex Galchenyuk and scored into a wide-open left half of the net. Then Alexander Radulov, who scored the overtime game-winner Friday night, made it 3-0 with 4:25 to play in the game. With Lundqvist pulled for an extra attacker, Brady Skjei scored his first career NHL playoff goal, with a slapshot from just inside the blue line with 2:56 to play that made it 3-1. The Rangers managed only 21 shots on goal in the game. The power play went 0-for-3. Carey Price stopped 20 shots in the win. Lundqvist, who was making his 118th consecutive post-season start, made 26 saves. Game 4 is Tuesday night at The Garden. The Canadiens got power play goals from Artturi Lehkonen and Shea Weber, and the Rangers’ offense failed to generate much energy or excitement as Montreal beat the Blueshirts, 3-1, Sunday night at The Garden. Montreal now leads the best-of-seven series, 2 games to 1. After a scoreless 1st period that saw the Rangers only muster 6 shots on goal, Montreal got on the board first, at the end of the 2nd period. With J.T. Miller in the penalty box for a ‘face-off infraction”, Lehkonen took a pass from Brendan Gallagher and beat Henrik Lundqvist for a goal at 17:37 to give Montreal a 1-0 lead. In the 3rd, the Canadiens scored on the power play again. Weber took a pass from Alex Galchenyuk and scored at 7:42 to make it 2-0. Alexander Radulov, who scored the game-winner in overtime Friday night, scored with 4:25 to play to make it 3-0 Canadiens lead. With Lundqvist pulled for an extra attacker, Brady Skjei scored his first career NHL playoff goal with 2:56 to play, with a blistering slapshot from just inside the blue line, for the final 3-1 margin. The New York struggled all night, and never got many rebounds or 2nd chances when they were on the attack. They finished with only 21 shots on goal. The Blueshirts power play was 0-for-3 on the night. Carey Price x made 20 saves in the win. Lundqvist stopped 26 of the 29 shots he faced. Alexander Radulov stuffed a rebound past Henrik Lundqvist with 1:26 to go in the 1st overtime, giving the Canadiens a 4-3 win over the Rangers Friday night in Montreal. The win evened the best-of-seven series, 1-1. The Rangers looked as if they would win the game in regulation when Tomas Plekanec scored with 18 seconds remaining to tie the game, 3-3, and send it to overtime. Lundqvist and Montreal goalie Carey Price put on another goaltending show. Lundqvist made a career-high 54 saves in the loss, while Price stopped 35 shots. The two teams came out firing in the 1st period. Jeff Petry scored 4:05 into the game to make it 1-0 Montreal. Lundqvist had broken his stick, and the team was unable to get him a new one – for 48 agonizing seconds – before Petry scored. Michael Grabner, who scored an empty-net goal in Game 1 Wednesday, would beat Price on a breakaway at 13:48 to tie the game, 1-1. But Paul Byron scored at 15:42 to give the lead back to the Canadiens, 2-1. Midway through the 2nd period, the Rangers tied it. Rick Nash took a nice pass from Jimmy Vesey and beat Price at 9:58 to make it 2-2. Nash has 11 points in his last 11 playoff games. And Mats Zuccarello‘s goal at 14:47 of the 2nd, on a deflection, gave the Blueshirts a 3-2 lead. A broken stick played a part in the game-tying goal. Nick Holden had broken his stick, and was trying to keep Plekanec out of the crease, but Plekanec managed to deflect a Radulov shot past Lundqvist for the goal. Game 3 is Sunday night at The Garden. Henrik Lundqvist stopped all 31 shots he faced, in arguably his best game of the season, and Tanner Glass and Michael Grabner scored goals for the Blueshirts, as the Rangers took Game 1 of their opening round playoff series with the Canadiens, 2-0, Wednesday night in Montreal. 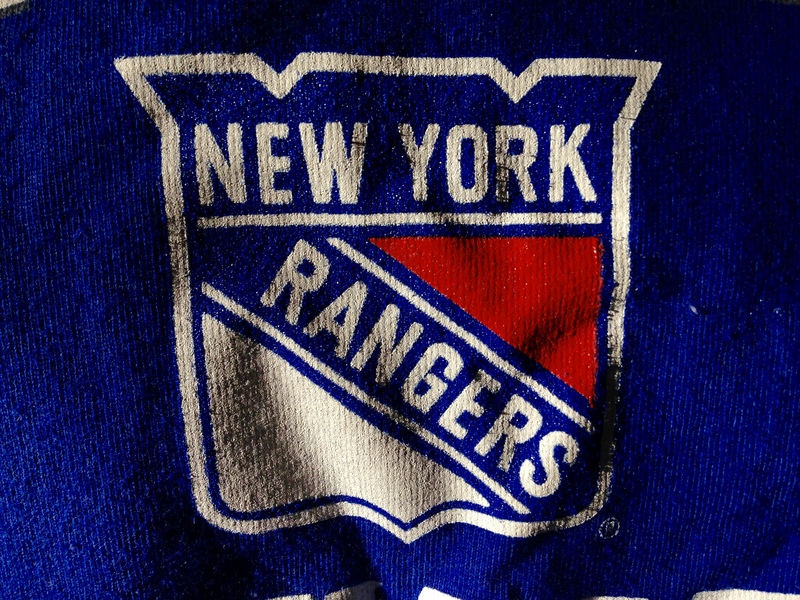 The Rangers, who owned the NHL’s best road record this season, now lead the best-of-seven series, one game to none. The much-aniticpated goaltender duel between Lundqvist and Carey Price was everything it was advertised to be. Both goalies played very well. Lundqvist recorded his 10th career post-season shutout. Price made 29 saves. Glass’s goal, 9:50 into the opening period, came on a close-in backhand shot over Price’s left shoulder. It was Glass’s 2nd career post-season goal. Grabner’s empty-net goal, with 1:10 to play, gave the Rangers the final 2-0 margin. Game 2 is Friday night in Montreal. 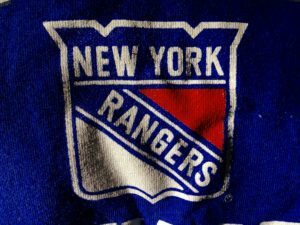 Jimmy Vesey scored the go-ahead goal early in the 3rd period, and goalie Magnus Hellberg recorded his 1st NHL win, as the Rangers beat the Pittsburgh Penguins, 3-2, in their regular season finale. The Blueshirts now meet the Montreal Canadiens in the opening round of the NHL playoffs; their best-of-seven series begins Wednesday in Montreal. After Nick Bonino gave the Penguins a 1-0 lead midway through the 1st period, goals by Ryan McDonagh and Derek Stepan gave the Rangers a 2-1 lead after one period. Carter Rowney‘s goal, at 13:32 of the 2nd period, tied the game 2-2. The Rangers rested Antti Raanta, Chris Kreider, Jesper Fast, Kevin Hayes, and Brendan Smith. J.T. Miller is the only Blueshirt to play in all 82 games in 2016-17. In a pre-game ceremony, Mats Zuccarello was presented the Steven McDonald Extra Effort Award; it was the second-straight year that Zuccarello won the award, which is voted on by the fans.